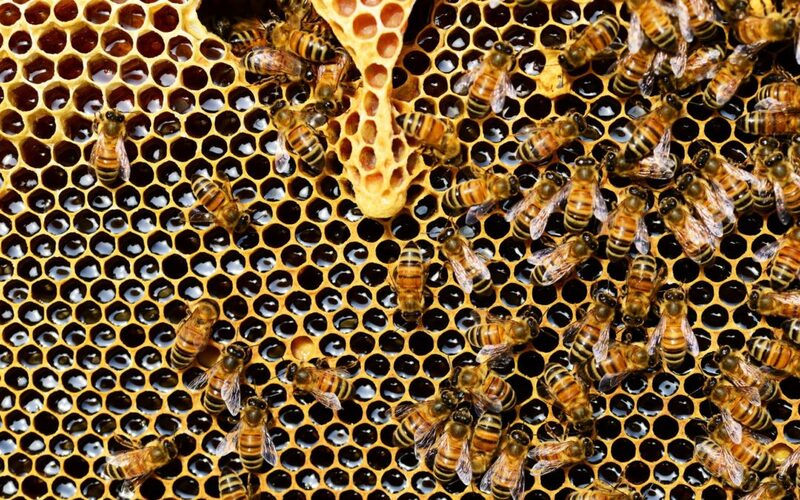 Population levels of more than 700 North American bee species are declining at a breakneck pace, according to a report by the Biological Diversity Organization. There is an urgent drive by habitat restoration agencies like the partners within the Montezuma Wetlands Complex to restore bee ecosystem health and prevent extinction. There are currently 139 counties across the United States where wild bee colonies are at risk. Many of these danger regions encompass major agricultural zones like California’s Central Valley and the Great Plains. Private citizens are urged to help ensure that plant pollination continues to fuel the growth of nutrients for human consumption. Bees are critical to food production. They pollinate roughly 35 percent of crops that feed 90 percent of the world. Of the nearly 20,000 bee species on the planet, one specific group – the honey bees – are responsible for $30 billion a year in crop production according to the BBC Network. Bee pollination directly affects the growth of apples, almonds, berries, tomatoes, squash and many other foods. More importantly, bees pollinate crops such as alfalfa which are vital in feeding farm animals that humans eat. Wild bees are highly susceptible to disease carried by mites. These mites and airborne viruses can spread quickly through a colony wiping most of it out. A bee’s worst enemy, however, are toxic pesticides. Protecting and sustaining the bee population can be easily served. Plant colorful, single flower varieties in your garden such as daisies and marigolds, rather than double flower tops such as double impatiens. Furthermore, research or ask your nursery expert what colorful flowers should be planted to bloom in each season so that the food supply perennially flourishes. To wash down their pollen snack, help hydrate these little buzzers by filling a shallow container with fresh water and placing pebbles at the bottom to give the bees a safe place to land and drink. Avoid using harmful pesticides in the garden which can be toxic to bees. When buying a pesticide, see if the product contains neonicotinoids or imidacloprid, chemicals which are deadly to both insects and bees. You can also volunteer or donate funds to wildlife conservation agencies to prevent further erosion of bees and ensure the pollination cycle thrives for every future generation to enjoy. Free Educator Training @ the MAC!